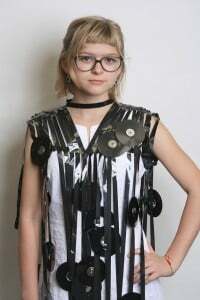 Description: In this workshop, students will work with recycled books and other items donated by the Austin Public Library to sculpt wearable fashion items like dresses, hats, bags and jewelry. Students will learn to manipulate paper in various ways to transform old books into runway ready fashions. We’ll be collaborating with Recycled Reads, a division of the Austin Public Library, to present selected looks in a runway fashion show.